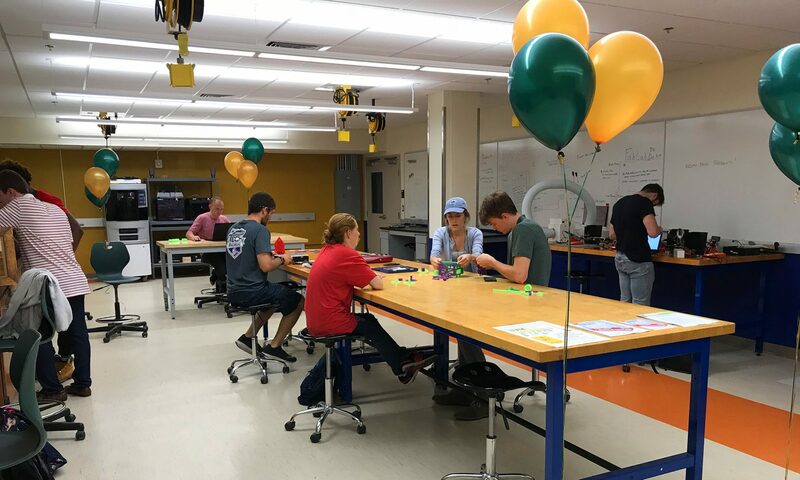 We know that academic makerspaces create meaningful experiences for students, yet how do we measure this meaningful impact? Where do we start? Last fall on behalf of the UVM FabLab I attended the first International Symposium on Academic Makerspaces (ISAM) at MIT. Organizers for the symposium came from MIT, Yale, Stanford, Olin, Carnegie Mellon, Case Western Reserve, Georgia Tech and UC Berkeley. I specifically attended the conference to learn how to better use metrics to measure the impact of academic makerspaces. The big idea emphasized by Malcom Cooke of ThinkBox at Case Western was Keep Calm and Collect Data – collect as much data as possible and start today! Collect data that you can assess and measure over time, look to metrics and outcomes, quantitative and qualitative outcomes.